5 Beds 3 Baths 1 Partial Bath 4,628 Sq. ft. Description: Princeton II model(3100 sq ft on 2 levels), with all the belss & whistles. 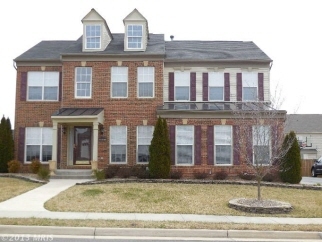 5 bedroom 3.5 bath home boasts of gleaming hardwoods throughout the main level to the upper landing. Gourmet kitchen equipt with stainless steel appliances, center island w/cooktop, granite counters, walk-in pantry, wall oven.....Family room off the kitchen has gas FP insert. Ceramic tile in all baths & walkl-in closets in all the Bedrooms.